We at L&D Home Developments are an established, professional and reliable building company who always deliver high quality service to our discerning customers. From the moment of quotation to the very last lick of paint, our highly skilled and fully qualified tradesmen will guarantee an honest, dependable and friendly service. Our estimations are broken down into an easy format to eliminate confusion, giving a clear view of both the cost implication and timescale. L&D Home Developments Ltd use only highly skilled sub contractors, particularly for electrical and plumbing works, all with the relevant qualifications so that you can be sure you are in safe hands. The company is a family business run by Lee Stevens who is the director and Danny Stevens who is the construction manager. 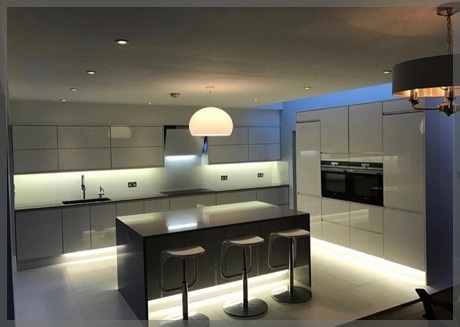 With 26 years combined experience between them, Danny as a qualified carpenter and Lee, a bricklayer by trade, they offer everything from loft conversions and extensions to dream kitchens, luxury bathrooms or complete refurbishments.